Rev. Anthony Cipolle (left) and Renee Henneberry Clark. 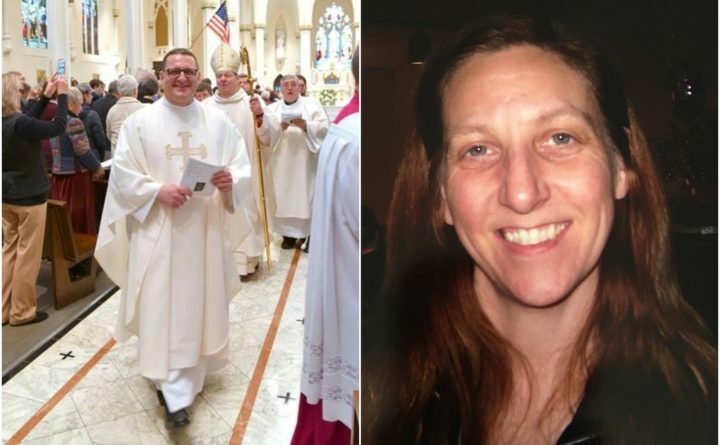 The Catholic priest who was a spiritual adviser to a Hampden woman allegedly killed by her brother-in-law is taking a leave of absence for “personal reasons,” the Roman Catholic Diocese of Portland announced Monday. The Rev. Anthony Cipolle of Bangor advised Renee Henneberry Clark to keep a spiritual journal that came into the priest’s possession after she died. Superior Court Justice William Anderson ruled last week that he would review the diary to determine which portions of its contents could be admitted as evidence and which could not. Cipolle’s attorney argued that the judge should not read the journal because it was covered by the religious privilege exemption. In its announcement of Cipolle’s leave of absence, the diocese said that it “does not involve a claim of sexual abuse of a minor.” The diocese said the leave of absence is effective immediately. Philip Clark, 55, of Hampden is charged with intentional or knowing murder in the July shooting death of his sister-in-law, Henneberry Clark, 49, at the Hampden apartment she shared with her estranged husband, 56-year-old Frank Clark, who is Philip Clark’s brother. The accused killer and victim lived in adjacent apartments at 557 Kennebec Road. The defendant, who is being held without bail at the Penobscot County Jail, has pleaded not guilty to the charge. It is unclear how Cipolle, 53, of Bangor obtained Henneberry Clark’s journal. He has told the BDN he is a possible witness in the murder case and has declined to comment. Cipolle was involved in an “altercation” with Philip Clark the day before the homicide, according to court documents. Hampden Public Safety Director Joseph Rogers has confirmed that police were called to 557 Kennebec Road on July 11 but has declined to give details about that call. Henneberry Clark’s body was found two days later. Clark’s attorney, David Bate of Bangor, has described Cipolle as “less than candid with investigators in this case.” Bate also said the priest has invoked his Fifth Amendment right to silence and has refused to voluntarily give his DNA to be tested as part of the homicide investigation. The diocese did not say where Cipolle, a native of Massachusetts, would be staying during his leave of absence. Cipolle is currently a parochial vicar at St. Paul the Apostle Parish, which includes churches in Bangor, Brewer, Hampden and Winterport. Cipolle was ordained to the priesthood on Nov. 18, 2017, at the Cathedral of the Immaculate Conception in Portland. Correction: An earlier version of this article included the wrong first name for Bishop Robert Deeley.